Lonnie Doublestein | Abrahamse & Company Builders, Inc. Prior to starting work at Abrahamse & Company in 2008, Lonnie Doublestein acted as a supervisor for Gaffney Homes on its townhomes and condominiums. Other past jobs include running a business repairing fiberglass bathtubs and working as an electrician for Cohen Electric Company. Lonnie’s favorite part of working for Abrahamse & Company is being outdoors and working with his hands. He brings to the jobsite not only a versatile skill set, but also an amiable nature and an easy smile. Lonnie grew up in Michigan and lived in Fort Lauderdale, but he fell in love with Central Virginia when he visited in 1979. Now living at Lake Monticello, where there is always an ongoing home improvement project, Lonnie and his wife, Tammy, have a teenage daughter, grown twin daughters, and a granddaughter. 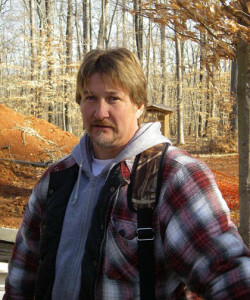 Lonnie enjoys four-wheeling, hunting, fishing, and working with his daughter and her swim team in their training and competition.